In this necklace you'll find a lovely combination of feminine pink, mauve and burgundy with earthy brown rustic woods in this one of a kind boho chic styled necklace. 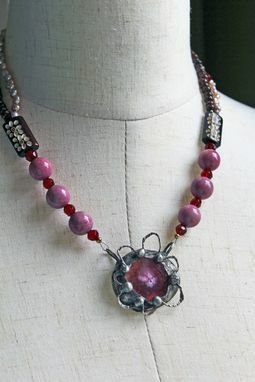 The focal point of this necklace is a gorgeous magenta agate slice dappled with golden browns and framed in a handmade sterling silver flower. 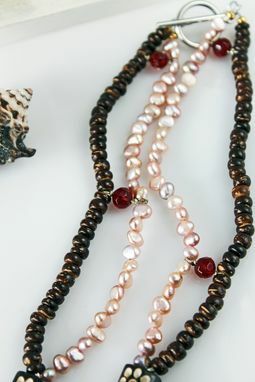 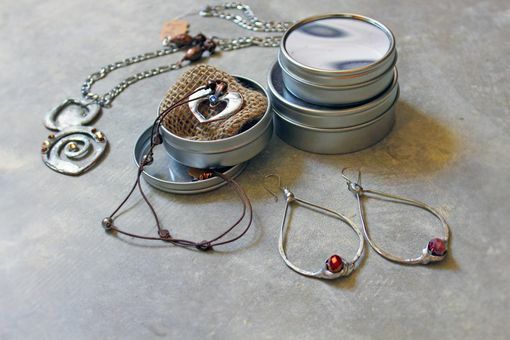 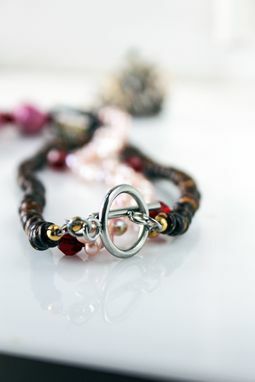 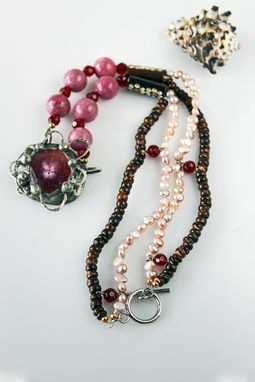 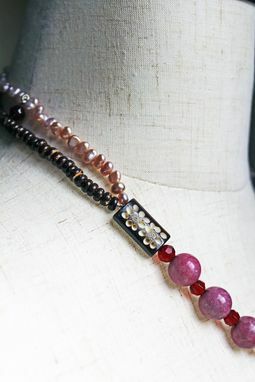 As eye catching as this geode pendant is the necklace itself is equally stunning in a lovely combination of two separate strands consisting of wood beads in one and pink pearls in the other, connected by two simple cranberry colored glass beads.